A "report card" for California's response to the four-year drought is being greeted with some consternation by state water officials. "One always prefers 'atta-boys' to kicks in the pants," responds Felicia Marcus, one of the state's top water regulators. On Monday, the Natural Resources Defense Council issued a report grading efforts to cope with the current dry times and gird the state against future droughts. It was a report card that, if handed down by your fifth-grade teacher, you probably wouldn't be eager to show your parents. 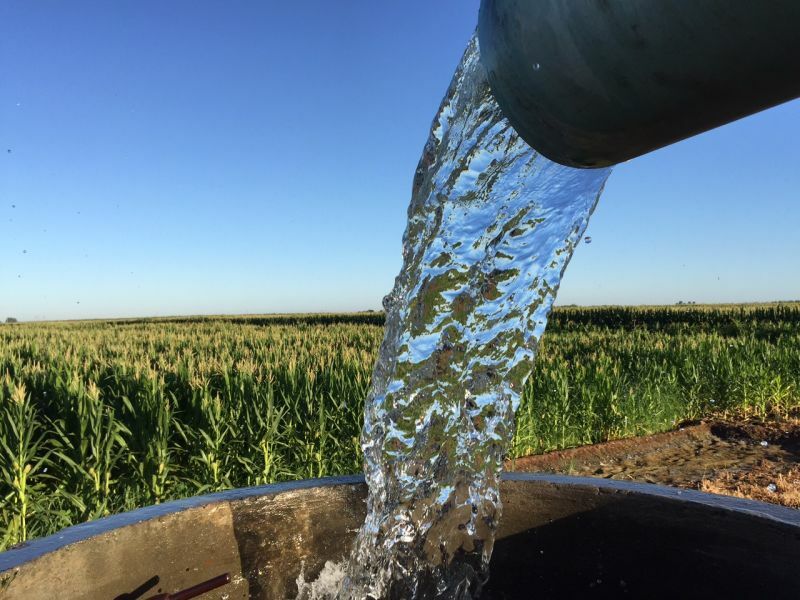 The report issued D grades for conservation in the farm belt and for capturing and recycling stormwater runoff, and an F for its efforts thus far to restore and protect the Sacramento-San Joaquin Delta, widely considered the keystone in California's water system. "I think it comes down to setting clear goals and putting regulations in place to ensure those goals are met," says Kate Poole, a senior attorney for NRDC, "and then providing the funding and assistance to meet those goals." 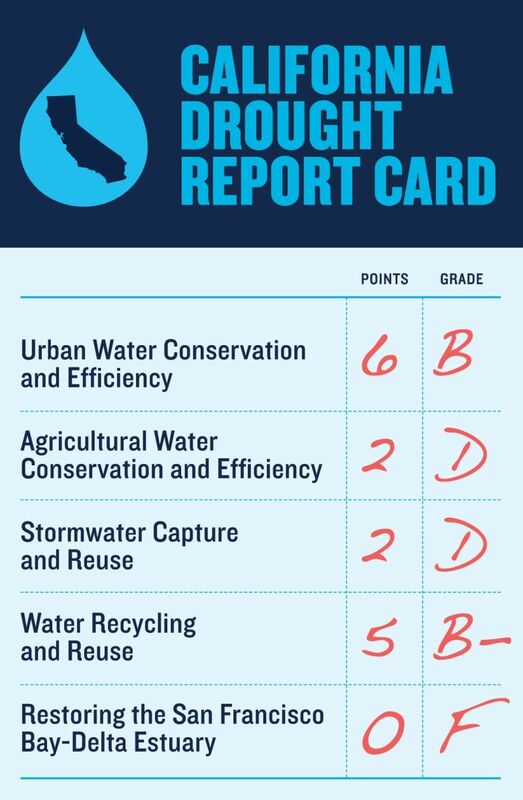 The report assigned higher grades to some of the state's efforts: a B for its urban water conservation program, and B- for use of recycled and reused water. "While the state is making significant progress in a couple of those areas," says Poole, "it's really fallen down on the job in a few of them." Marcus, who chairs the State Water Resources Control Board, says she would like to have seen the NRDC give more credit for last year's landmark groundwater legislation, which will pave the way for the first regulation of groundwater pumping in California's history. She sees this drought as a pivot point in attitudes toward water -- but also a starting point. "We've tried to lay a foundation for the future," says Marcus, whose board was not the sole target of the critique. "I think we've actually been able to advance the cause of sustainable water considerably, even while in the midst of of the drought. But the work is far from over." Marcus cites "hundreds of millions of dollars" in low-cost loans and streamlining of rules to make water recycling easier for local water agencies. "We're gonna end up with a lot more recycled water in just a few years," she predicts. "But that's not 'snap your fingers, make it happen.'" So how would Marcus grade the state? "I think we get an A for effort," she says, "and probably a B in execution, because you can't get it all right."